John Rodney Harrison was born Oct. 29, 1946 in Dyersburg, Tennessee, the youngest of three brothers. He grew up on a 93 acre farm, southeast of Dyersburg where he spent most of his time hunting, fishing, and working on the farm. His father, L.M. Harrison, also had a 1,000 acre track of timber, saw mill, and game bird farm where all three brothers worked. John graduated from Dyersburg High School in 1964 and then attended the University of Tennessee at Martin. In December of 1966, he was drafted into the U.S. Army, where he served until he returned from Vietnam in October of 1968 with an honorable discharge. John then began his future career in the fire protection industry by working for a Fire Sprinkler Contractor in Memphis, Tennessee in December of 1969. He continued working in the Fire Protection Industry, traveling the country, installing fire sprinkler systems for 18 years. In 1988, John founded Harrison Fire Protection and established the company in Sikeston, Missouri, where the home office is located today. John worked in the field by day and the office by night. He hired his first full time employee in January of 1989. 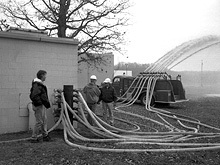 John believed that hiring hardworking, honest people with little or no experience would be critical in training them the Harrison Fire Protection way with "one on one" training. We currently have several, experienced Job Foremans and Sprinkler Fitters on staff that have helped make us successful. Although, we have grown considerably over the last several years, Harrison Fire Protection’s major concern is not being bigger, but better. Rodney H. Harrison, son of John R. Harrison, started working in the Fire Sprinkler Industry as a kid. Rodney started out at 13 years old learning the basics from his Dad. After graduating from Dyersburg High School in 1991, he attended Dyersburg State Community College from 1991 to 1994. After college, he decided to follow in his Dad's footsteps and pursue a career in the Fire Protection Industry. Rodney, just as his Dad, traveled the country installing fire sprinkler systems and learning the business from the ground up. This has enabled him to understand every aspect of the business through experience and hard work. In 2001, Rodney began to work in the office and appreciated having his Dad to teach him everything that he needed to know, just as L.M. Harrison taught John the value of hard work and that a Man's Word is his most valued asset. Rodney and John continue with the family tradition, by providing quality work along with honesty and respect. John and Rodney believe that Harrison Fire Protection's greatest assets are it's employees. We are proud to say that we have the best employees that anyone could ask for and we look forward to building lasting relationships with our customers just as we have our employees. 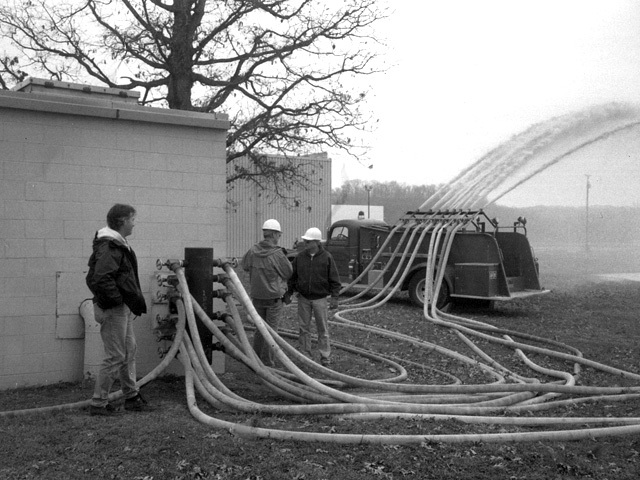 Although we have grown considerably over the last several years, Harrison Fire Protection’s major concern is not being bigger, but better.